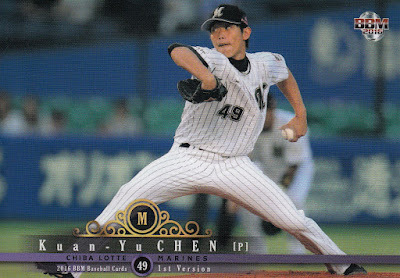 For the second time in less than a year, I've had a seller on Yahoo! Japan Auctions include a bonus card set with the set I purchased from them. Last summer a seller included the base set for the 2016 BBM Fighters Autographed Edition set with the Classic set and just this month a seller (not sure if it was the same one or not) included the base set for the 2016 BBM Carp Autographed Edition set with my Rookie Edition set. 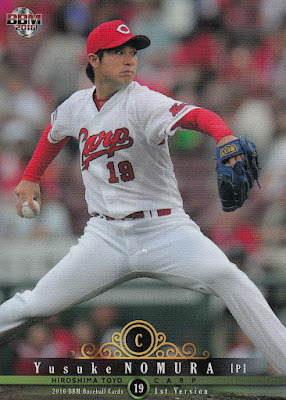 Like the Fighters set, the Carp set contains 27 cards, all with a gold facsimile autograph. 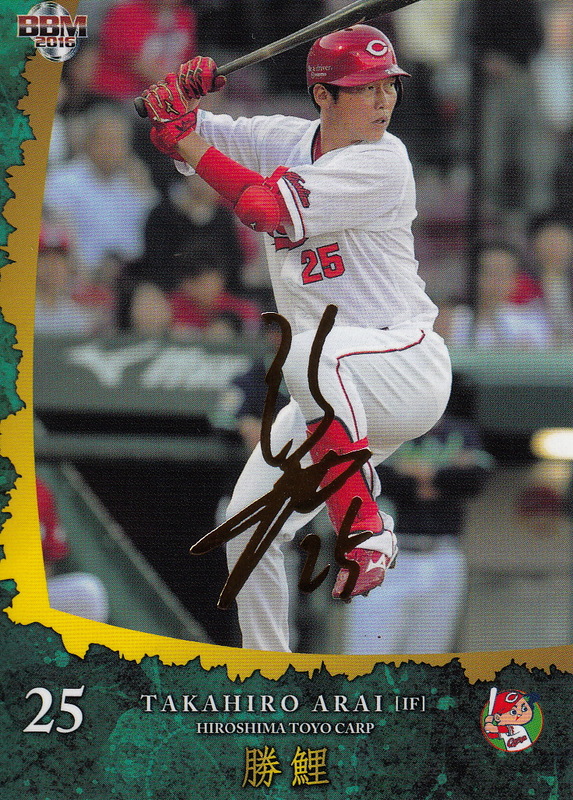 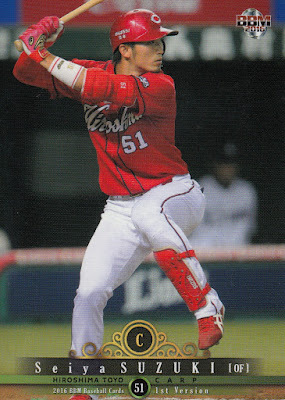 The players included are pretty much everyone you'd expect from the Carp - Hiroki Kuroda, Seiya Suzuki, Takahiro Aria, Kris Johnson, Ryosuke Kikuchi, Yusuke Nomura, etc. I was a little surprised Daichi Ohsera wasn't included but there's not anyone else I really felt was missing. It's a bit of old news now but the Brisbane Bandits swept the Melbourne Aces two games to none to win the Australian Baseball League championship for the 2016-17 season. The Bandits won their second consecutive Claxton Shield under the leadership of former Milwaukee Brewer Dave Nilsson. 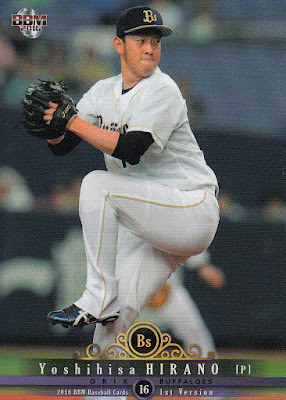 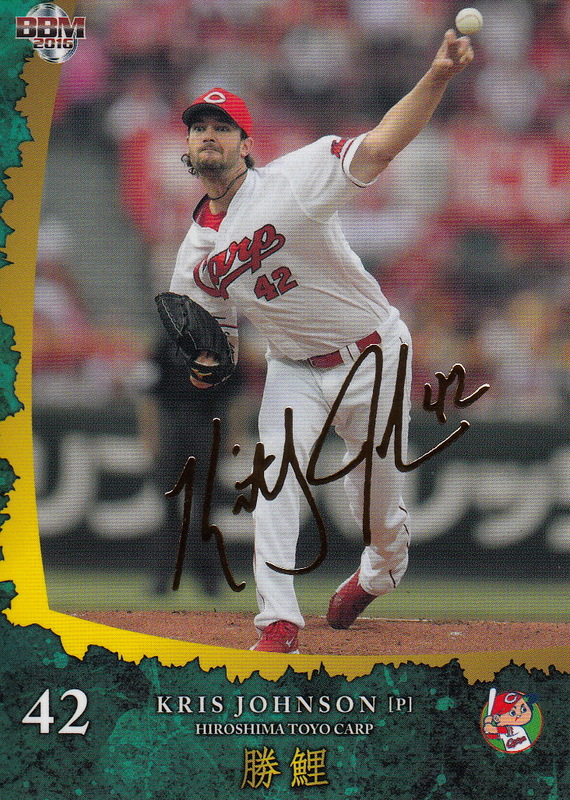 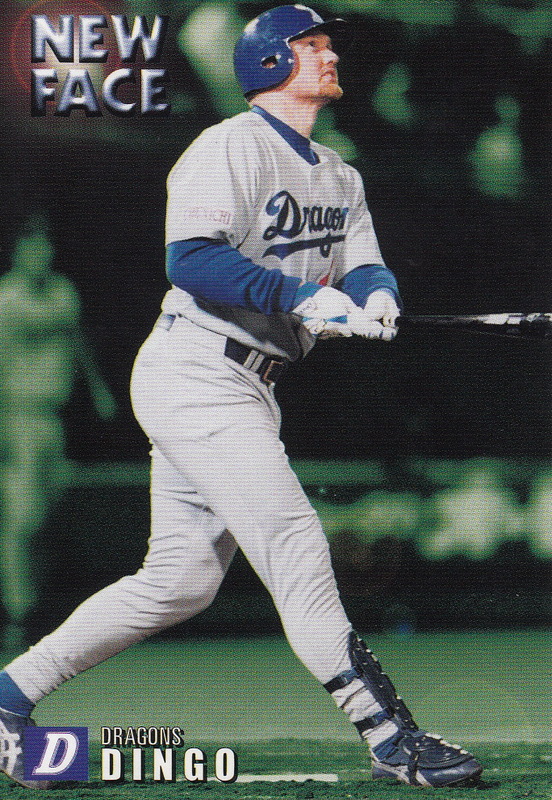 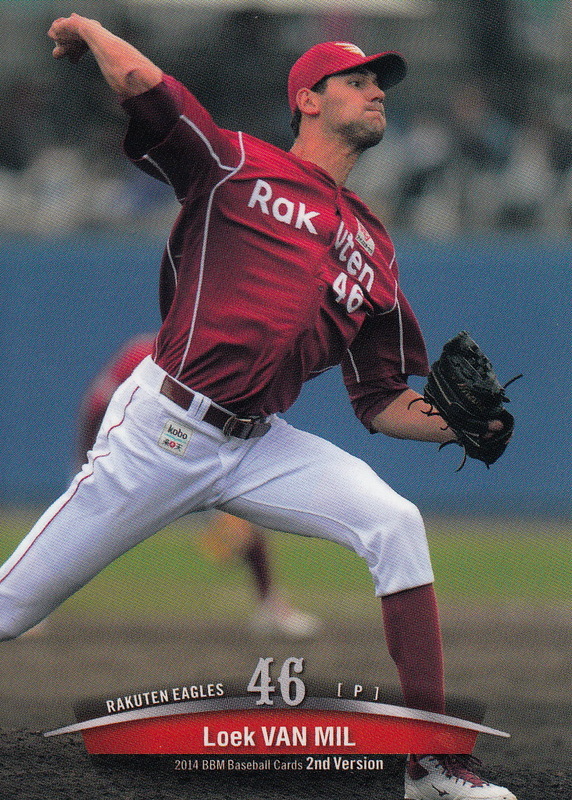 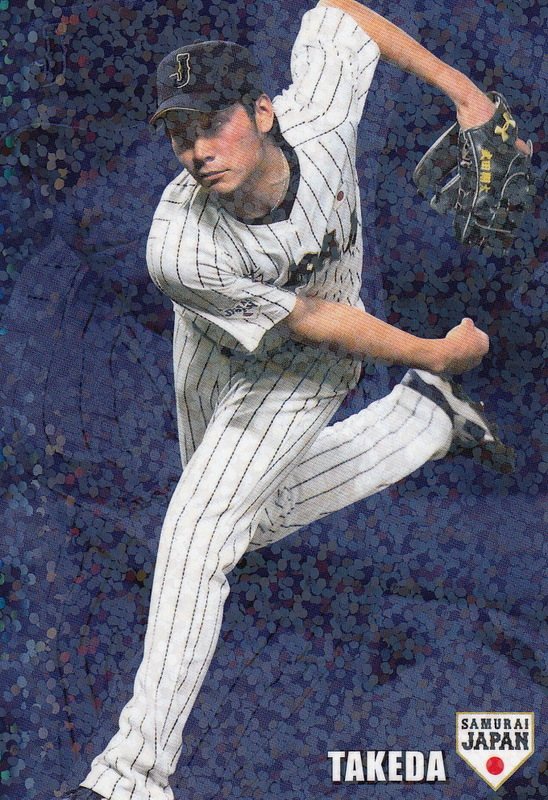 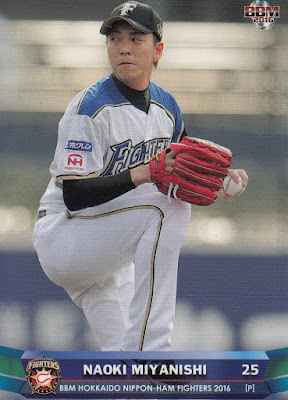 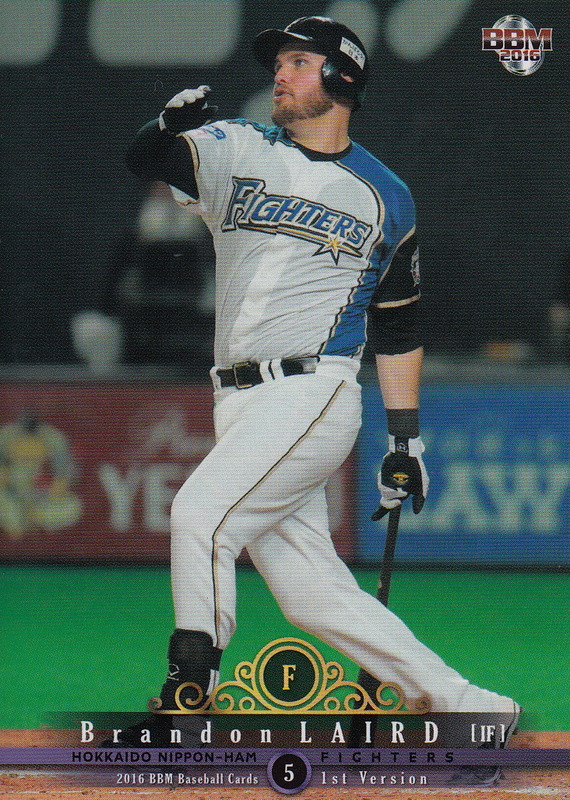 Nilsson spent one season in Japan, playing for the Chunichi Dragons in 2000. It's kind of interesting why Nilsson ended in Japan that season - the 2000 Olympics were being held in Sydney, Australia and Nilsson wanted to be able to play for his nation's team when they were hosting the event. While MLB teams were not willing him to let him leave the team during the season to do so, the Dragons were. 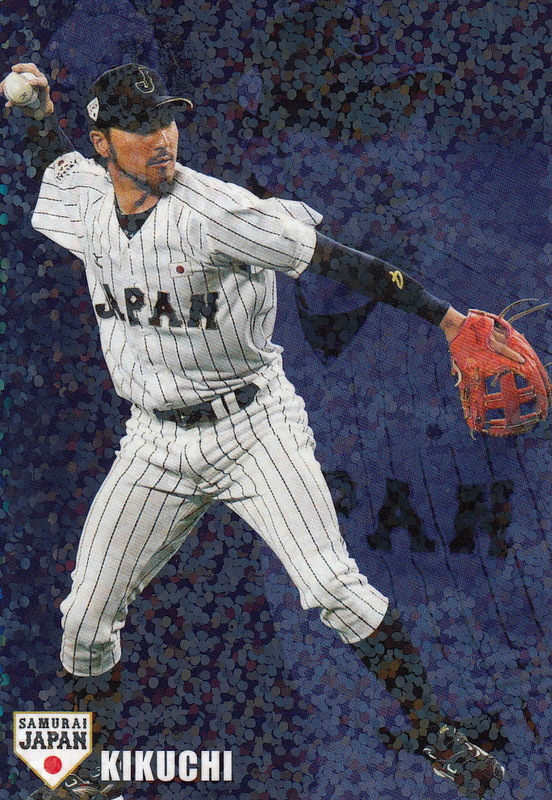 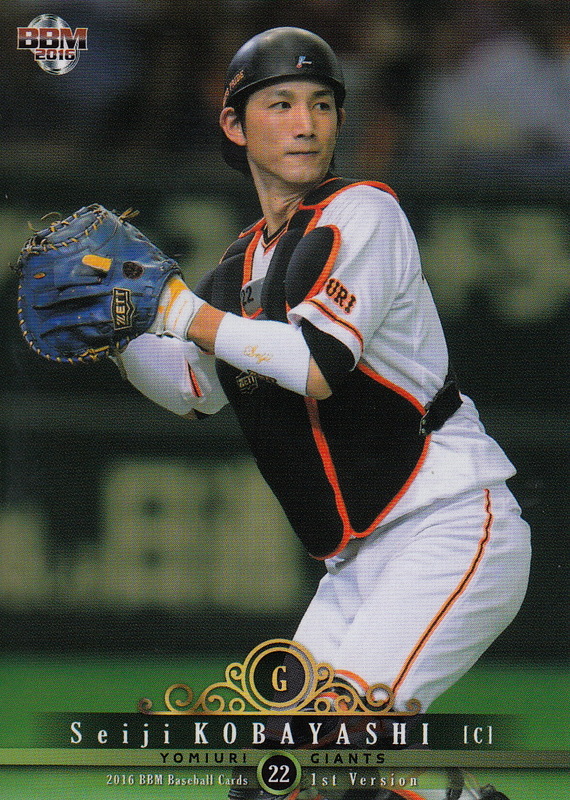 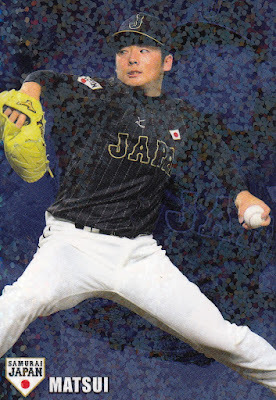 He had some injury issues and generally had a poor season with the Dragons, hitting only .180 in 18 games with the ichi-gun Dragons but he ended up leading all batters with a .565 average in the Olympics themselves. 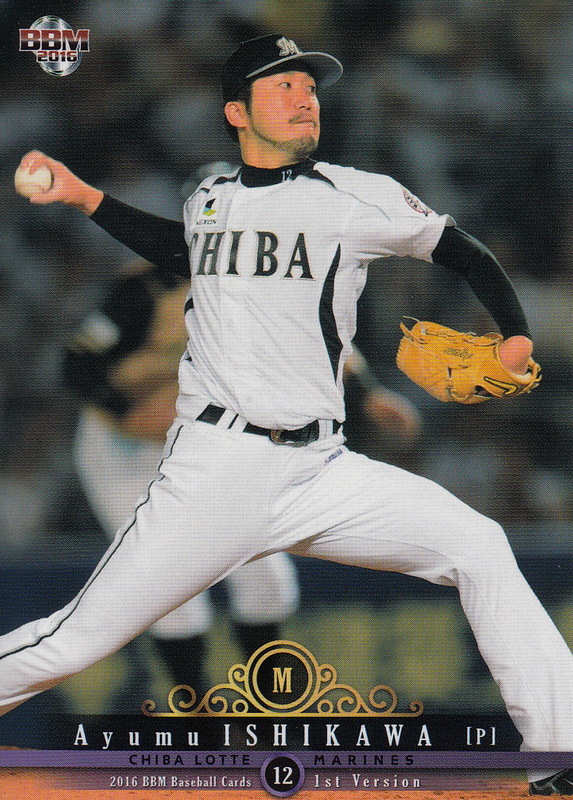 I used Nilsson's page on SABR's Biography Project for some of the information in this post. BBM's annual Rookie Edition set, which features the players taken by the NPB teams in the previous fall's draft, hit the stores about 10 days ago. 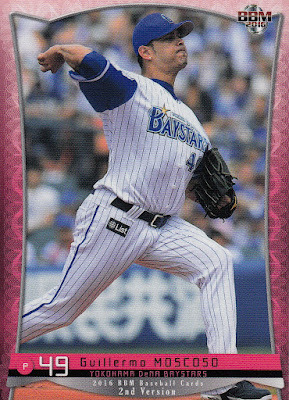 Through the magic of Yahoo! 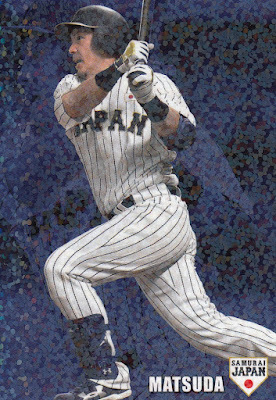 Japan Auctions, Noppin and EMS, my set arrived at my door this afternoon. The set contains 126 cards. 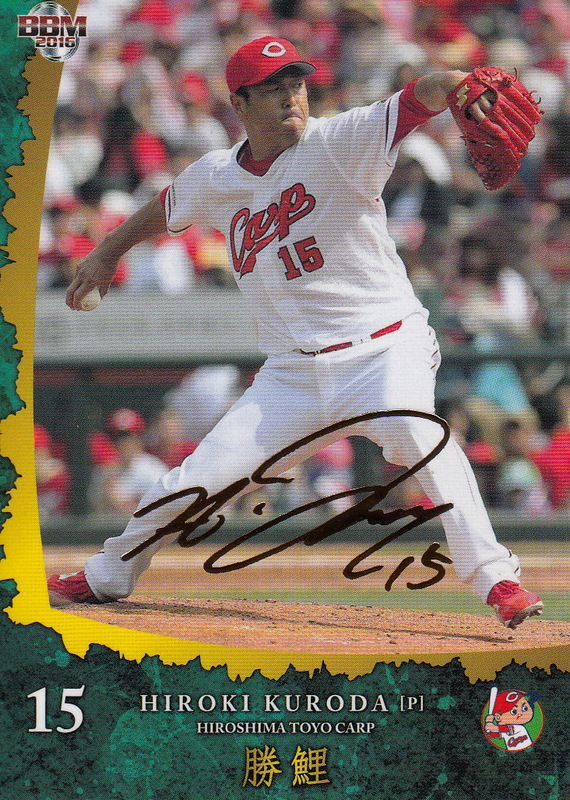 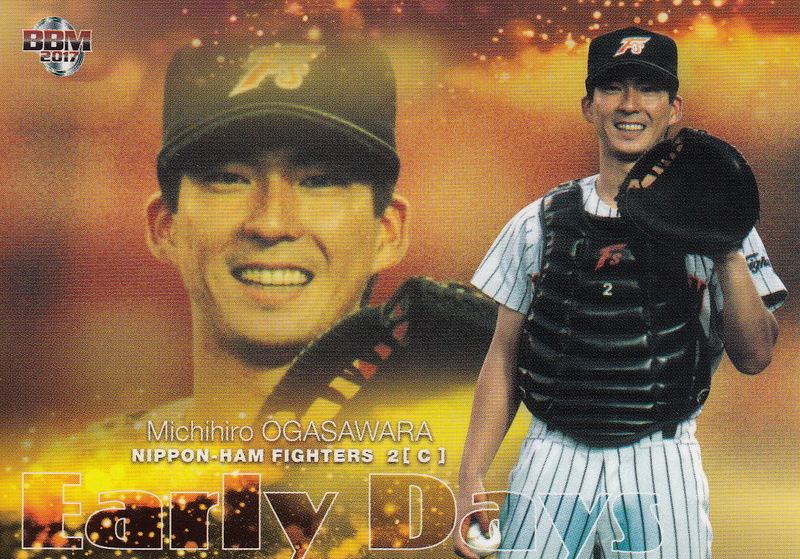 114 of these cards picture last October's draft class with the exception of Fighters sixth round draft pick Yujiro Yamaguchi, who did not sign with the team. 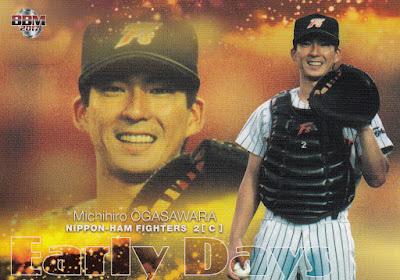 This includes hte players taken in both the regular draft and the ikusei draft. Those taken in the regular draft will have cards in the upcoming 1st Version set and the appropriate team set. 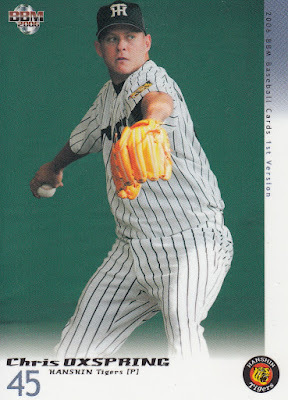 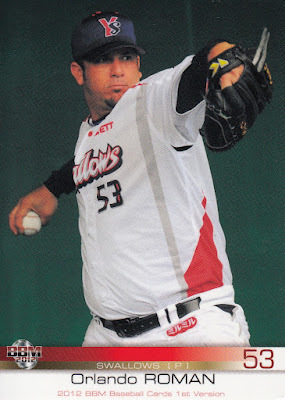 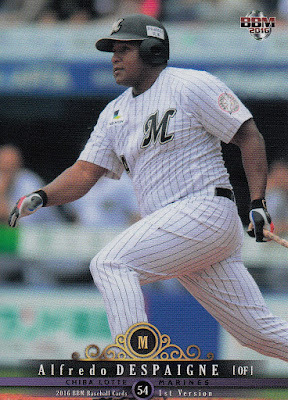 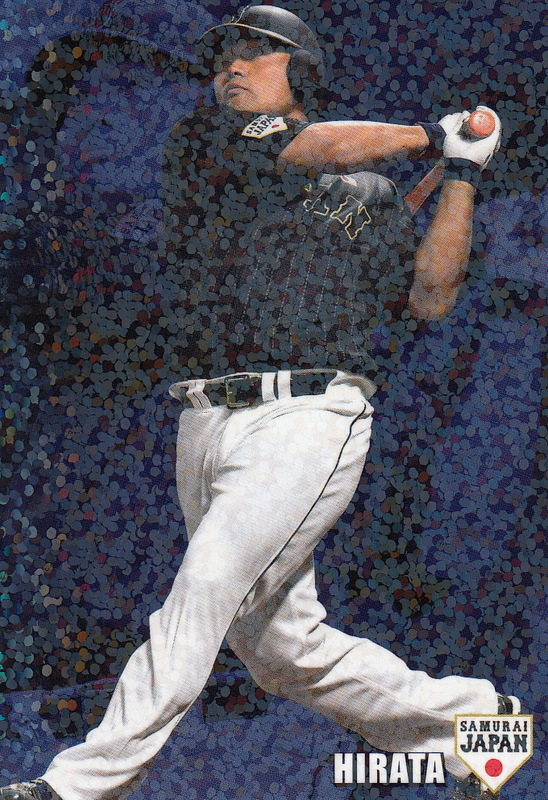 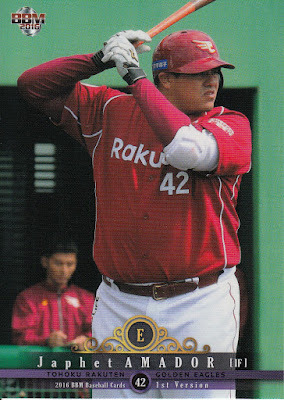 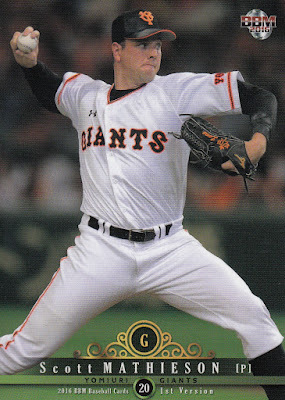 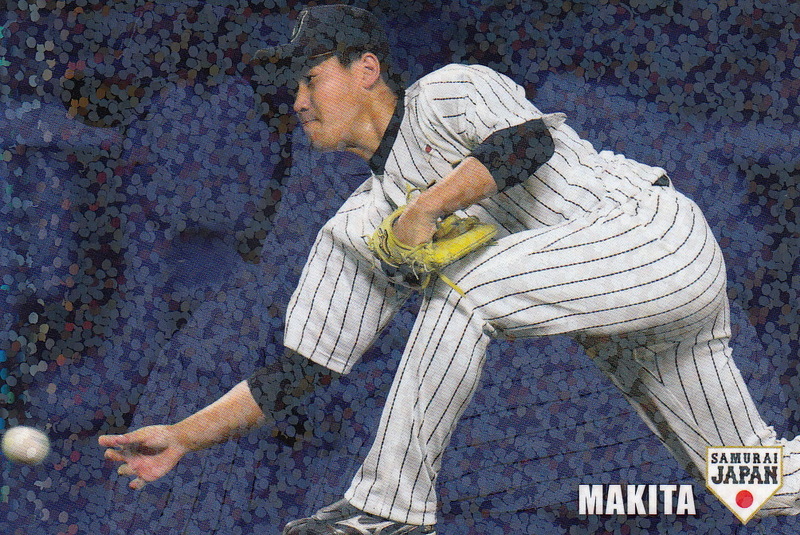 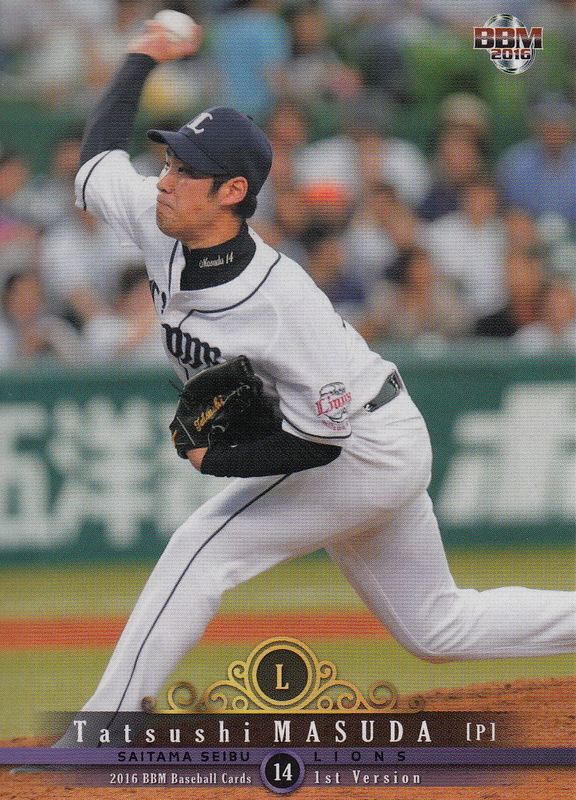 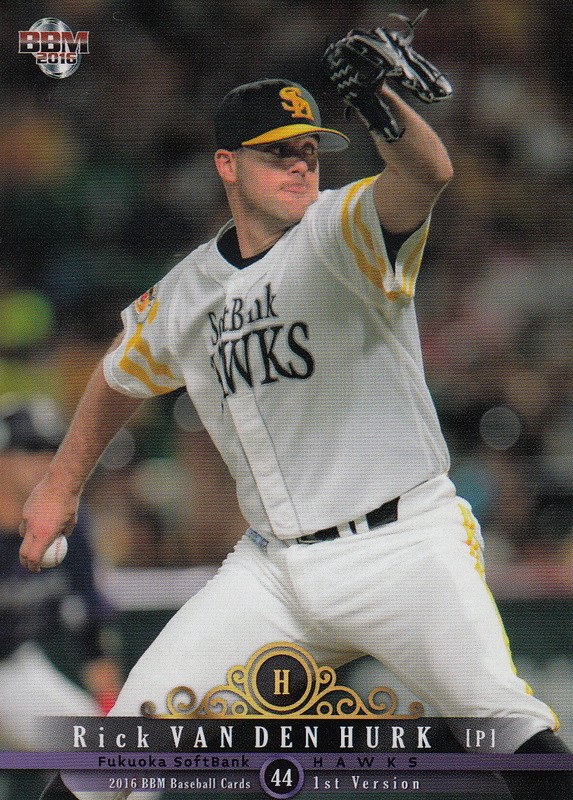 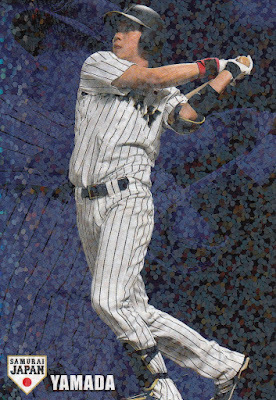 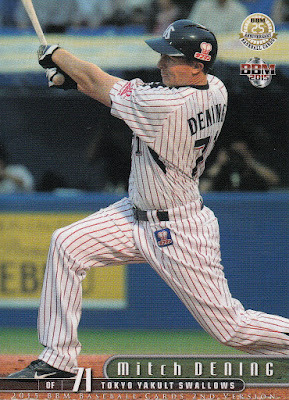 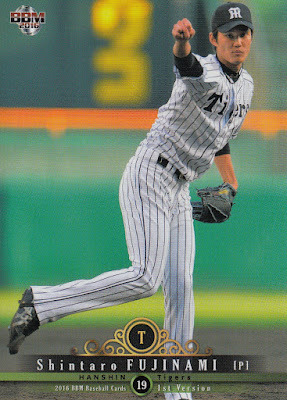 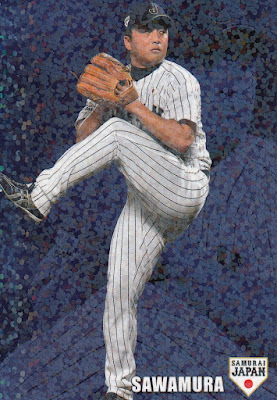 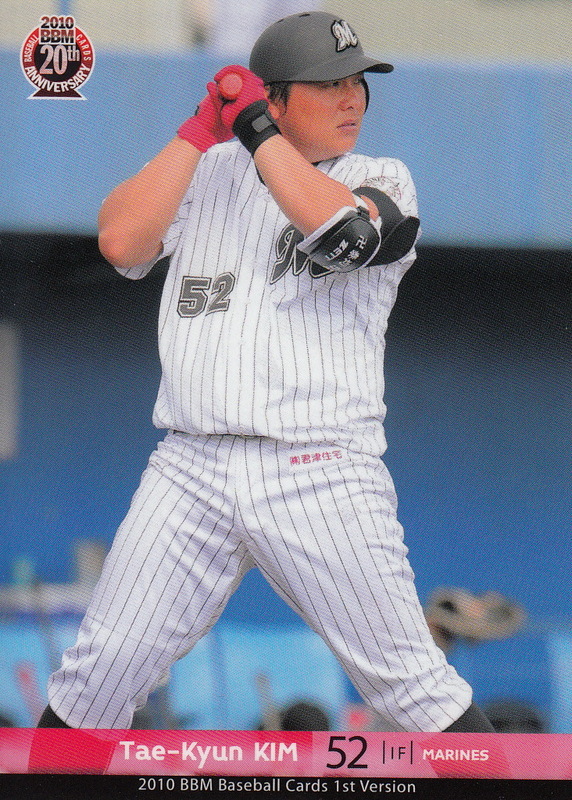 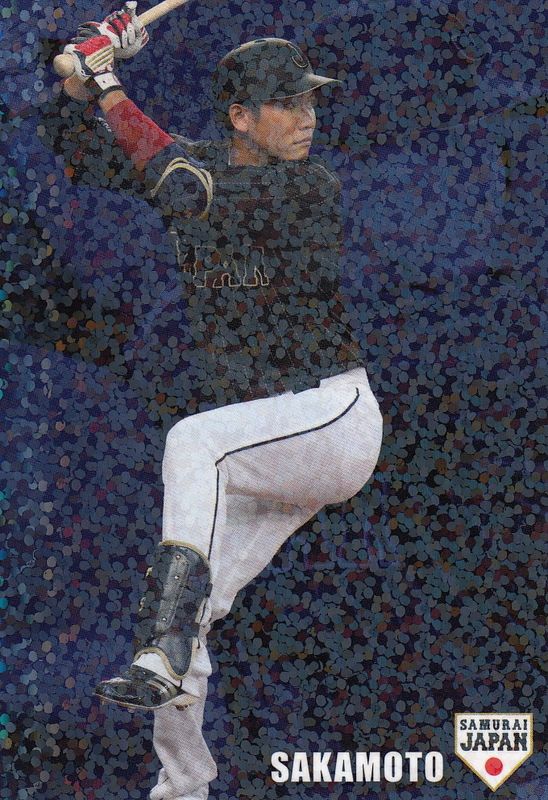 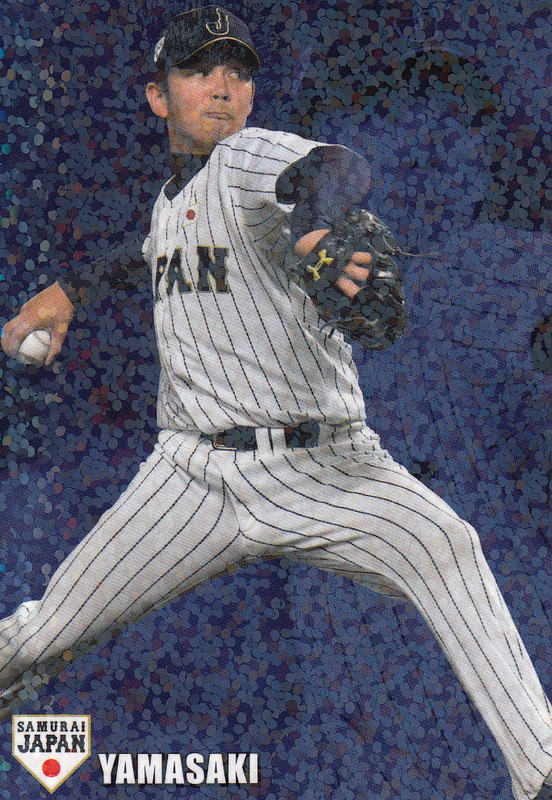 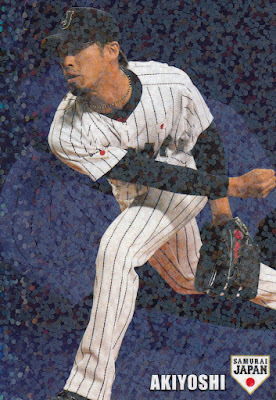 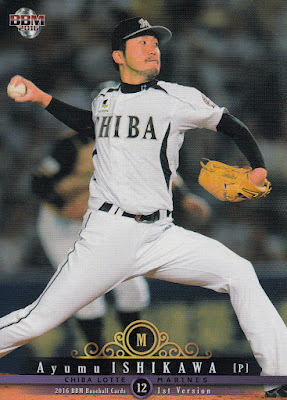 Those taken in the ikusei draft may never appear on another baseball card. 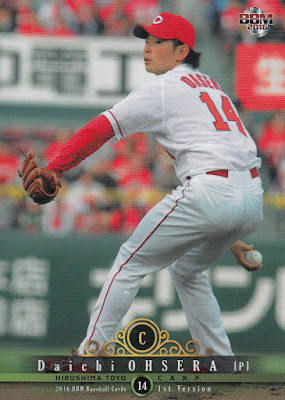 The other 12 cards are a subset called "Early Days" and feature OB players (one for each team) when they either were drafted or in their rookie season. 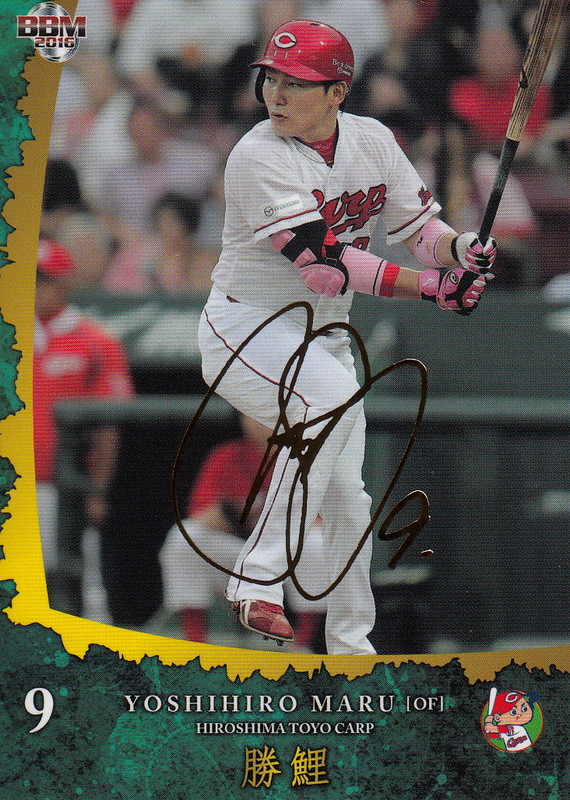 The players don't appear to have been chosen for any reason other than they could sign autographs to be available as chase cards with the set. 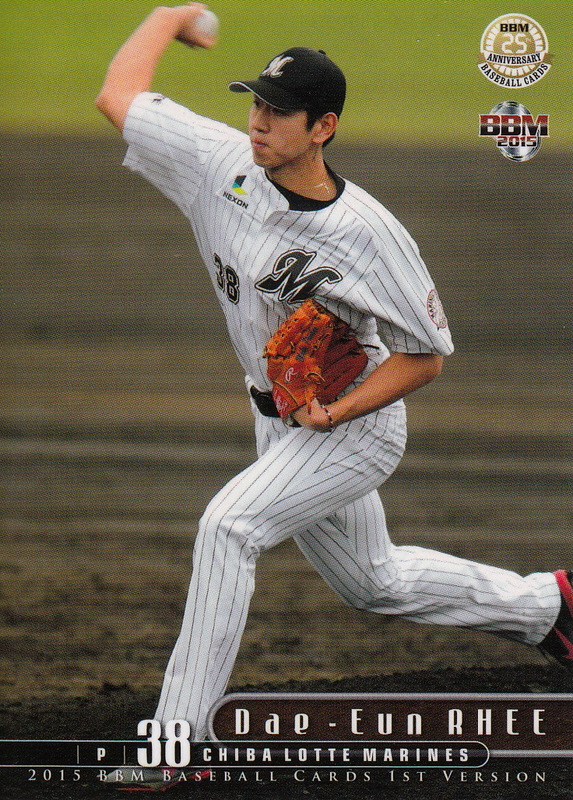 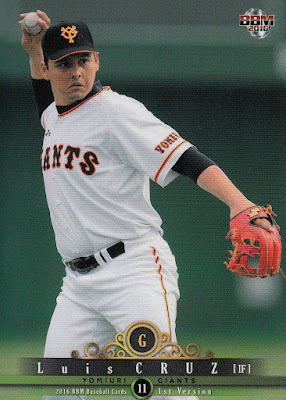 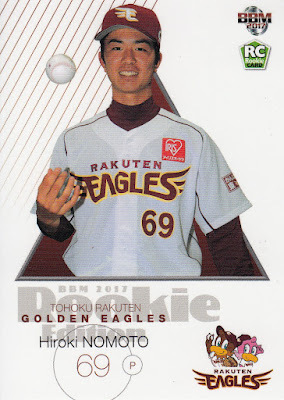 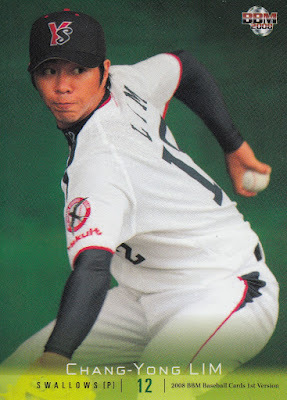 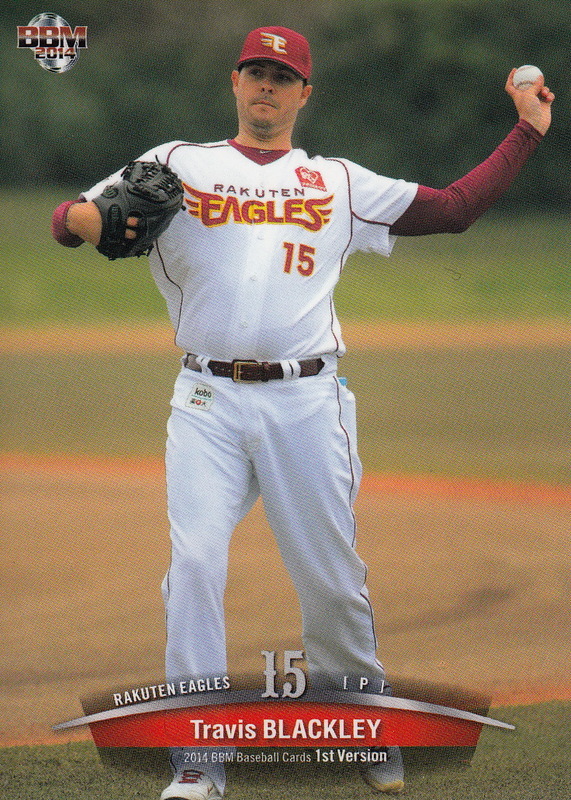 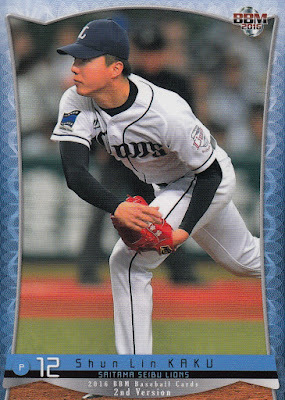 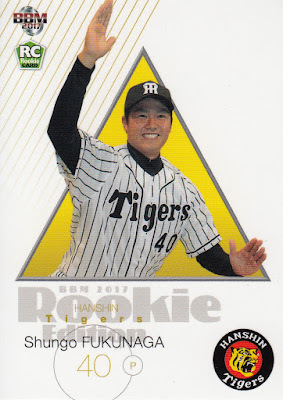 I don't know much about any of the draftees other than three of them were with the Shikoku Island League All Star team that played in the Can-Am League last summer - Yusuke Kinoshita (Dragons, ikusei round 1), Shungo Fukunaga (Tigers, round 6) and Yusuke Matsuzawa (Giants, ikusei round 8). 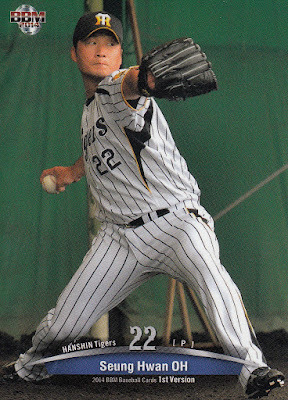 Jen_Lei Liao (Giants, 7th round) spent two seasons in the Pittsburgh Pirates organization. 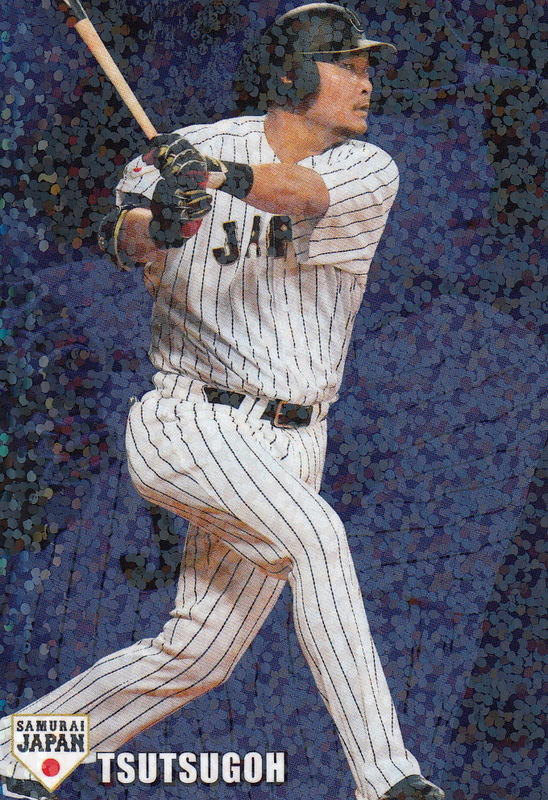 I have long ago run out of anything particularly interesting to say about BBM's Rookie Edition sets. 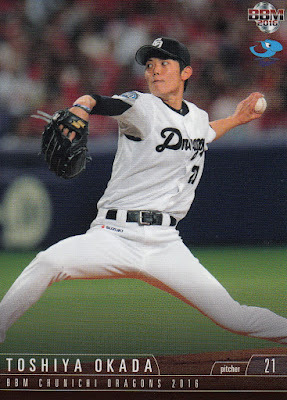 They pretty much are what they are. 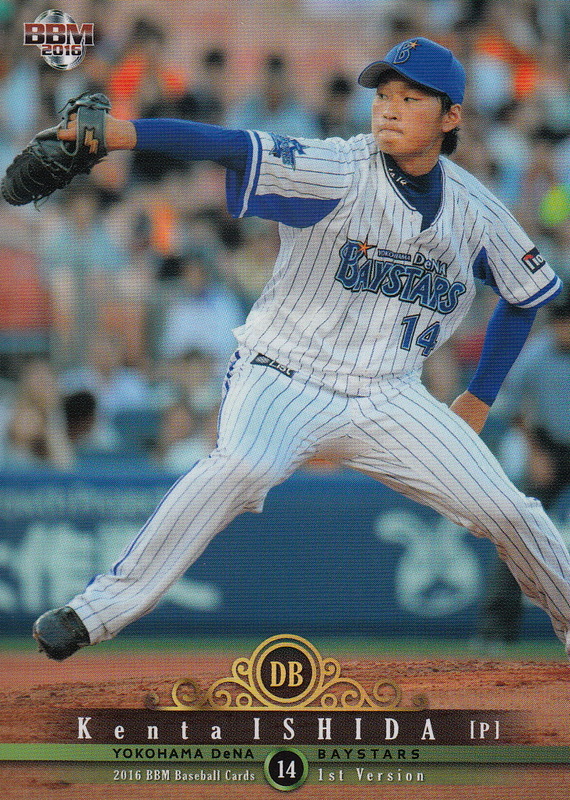 I will make my annual comment that it would be a much more interesting set if the players were depicted in their high school/college/industrial league/indy minor league team uniforms rather than a posed shot wearing their drafting team's jersey. Ryan did a write up on this set the other day which goes into some details on the parallel, inserts and memorabilia cards available for it. 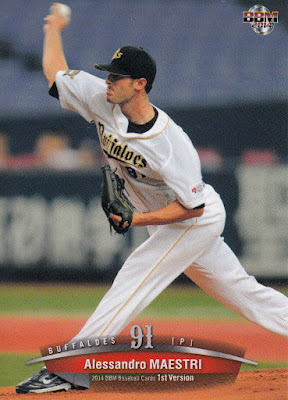 All the cards can be seen at Jambalaya. 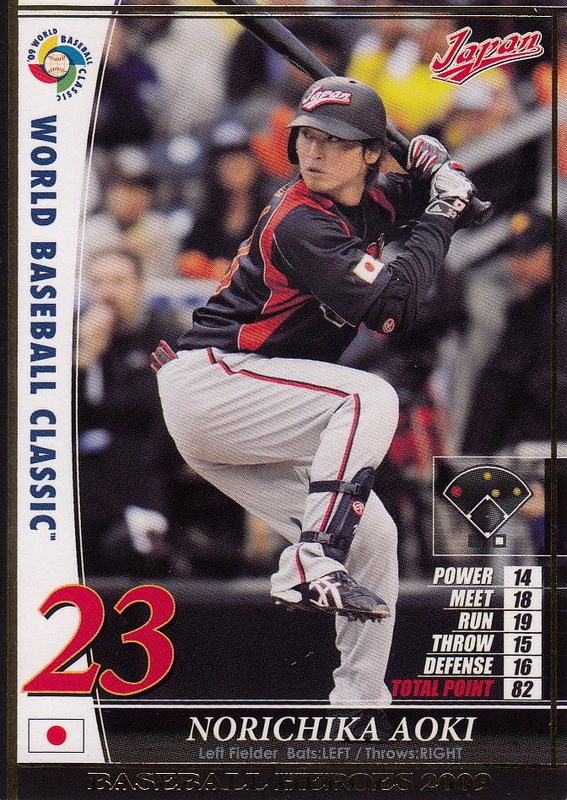 I thought I'd do a quick post rounding up the current and former NPB players on the rosters of the other (non-Japan) teams for this year's World Baseball Classic. 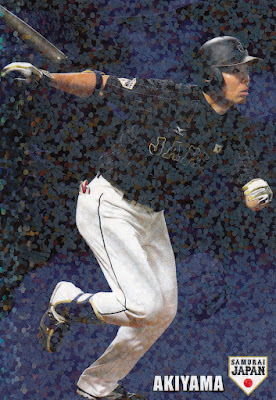 According to the list on YakyuDB there are 11 current NPB players playing on various WBC teams. 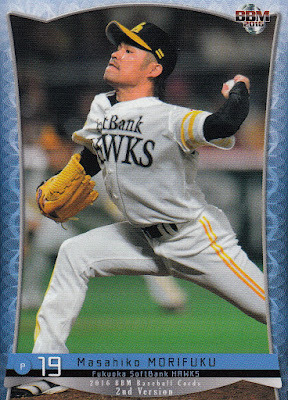 I found another 13 former NPB players on the rosters although it would not surprise me to discover that I missed some. The latest auction from Prestige Collectibles started this past Wednesday. 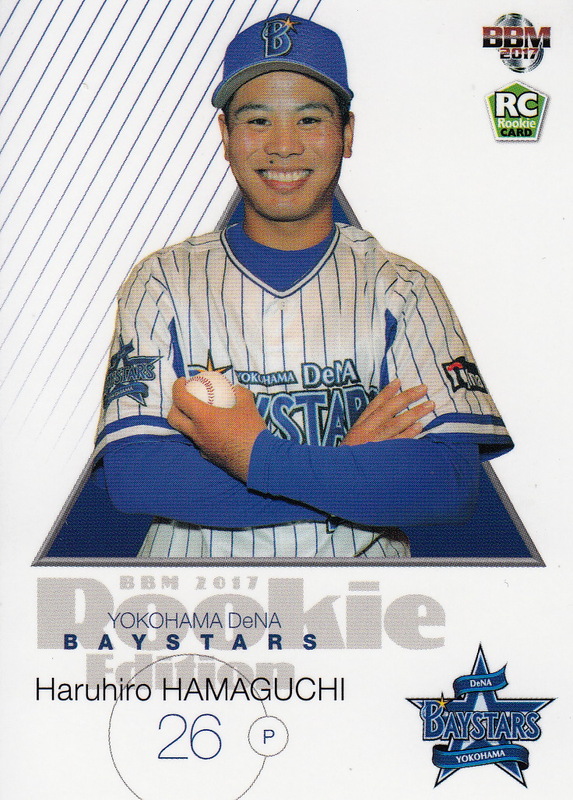 There's a lot of interesting vintage items up for sale, including bromides depicting touring US stars from the 1930's and college stars from the 1920's along with a number of examples of die-cut menkos from the 1940's including masks and kites. 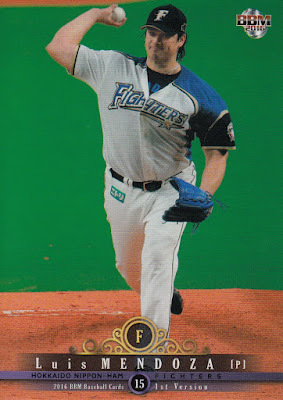 Items are a bit pricy but a lot of this stuff you won't see anywhere else. 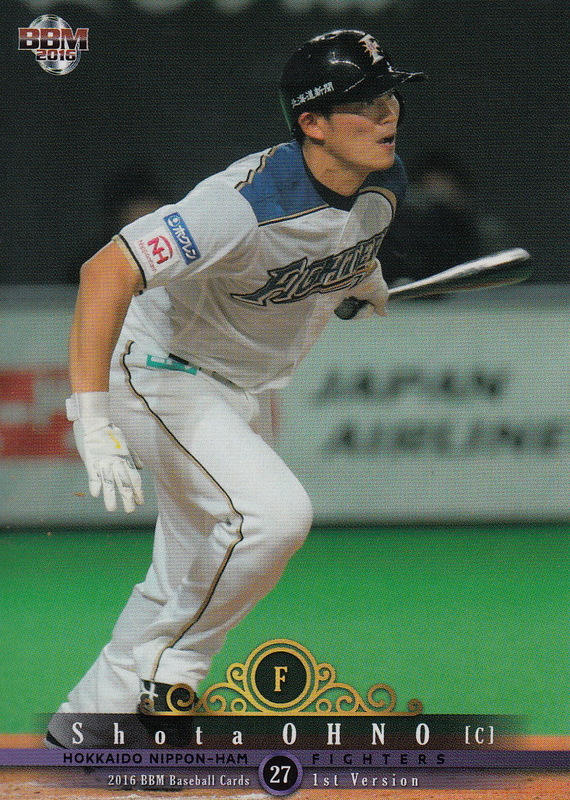 Information on the first of the 2017 "flagship" sets from BBM and Calbee were released in the last week or so. - Calbee's Series One will be released in late March (the official release date is March 27 but I would expect to see it available a few days earlier). 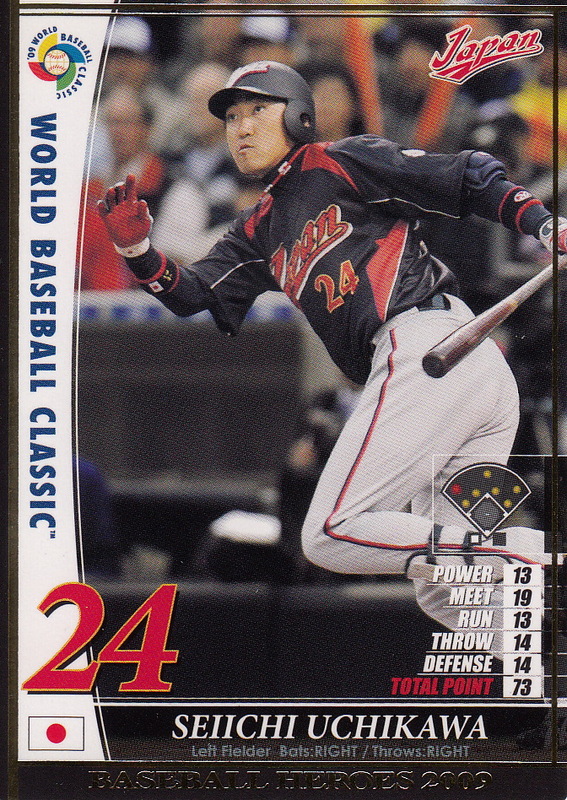 The base set has 72 player cards (six per team), 23 "Title Holder" cards and four checklist cards so it'll have 99 cards total. There's also two insert sets - a six card "Legend" set featuring players who retired at the end of last season and the ubiquitous 24 card (2 per team) "Star" set. 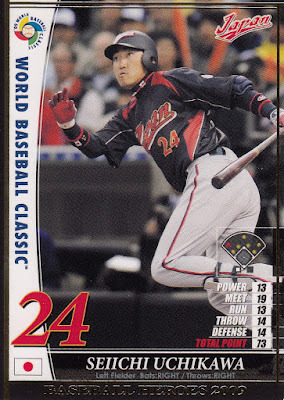 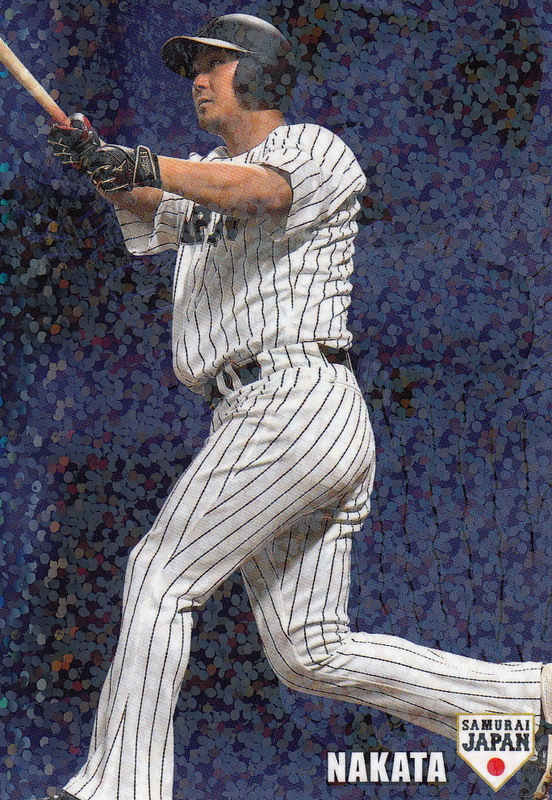 There's also a 12 card boxed set called "Clutch Hitters" that is available through some sort of redemption I think. The set's checklist is available on-line. - BBM's 1st Version set will be out in early April. The main details of the set are pretty much the same as they've been the past couple years - there's 372 cards in the base set - 324 cards for the players and managers (27 per team), the 12 team checklist cards (no word on the theme yet but I'd be happily surprised if it wasn't mascots) and a 36 card "cross set subset" - this year's version is called "CROSS SQUALL" and features a rainbow. One twist this year is that BBM says that each team will have one card that has a photo variant - I don't know how rare these will be or any other details. 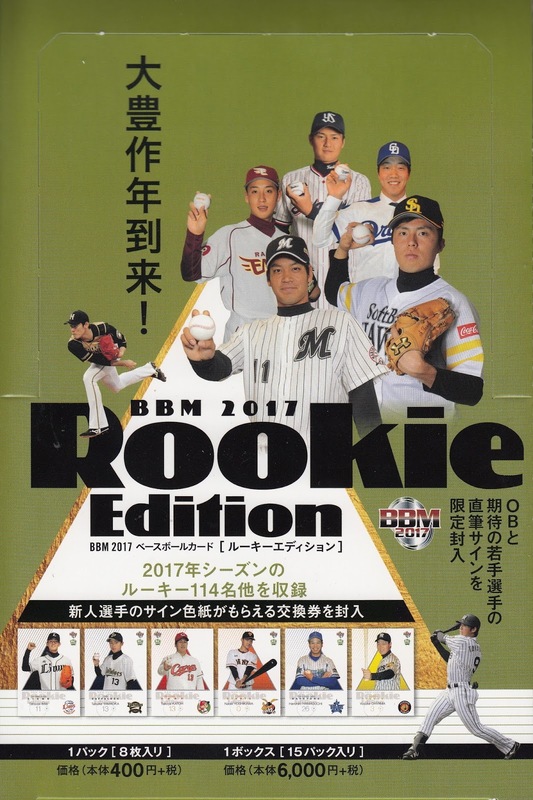 There are three insert sets - a 12 card "HyperNOVA" set featuring a rookie or second year player for each team, a 12 card "Rookie Reprint" featuring the reprint of a BBM rookie card for a player on each team and a 12 card "3D CROSS SQUALL" set. There's also the usual overwhelming collection of parallels and the usual cornucopia of autograph and memorabilia cards. The base card design looks VERY much like last year's Stadium Club cards from Topps. 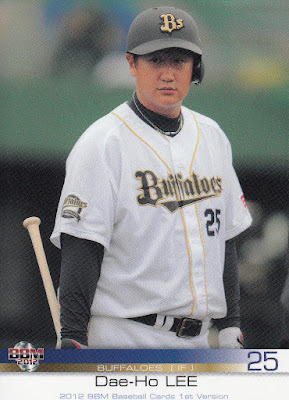 - One other set was announced recently. 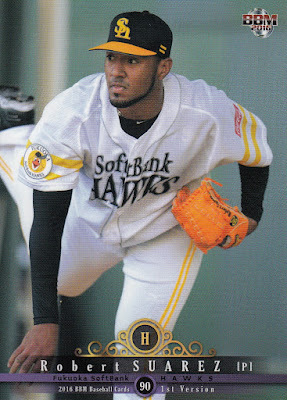 I had previously mentioned that an outfit called Hits was doing some sort of team based sets of "Trading mini colored paper" for the Hawks and Baystars. 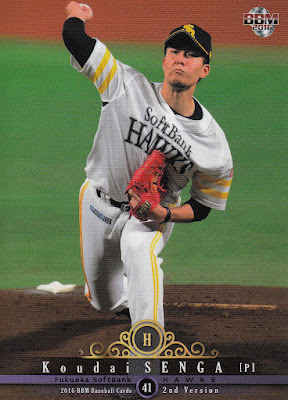 They have just announced a similar set for the Swallows and features eight players, just like the other two did. I'll repeat what Ryan said about the other two sets since I believe this set follows the same pattern: "It...seems that the full regular 8-card set will be in each box, along with two gold foil signatures, or one gold foil and one real signature." 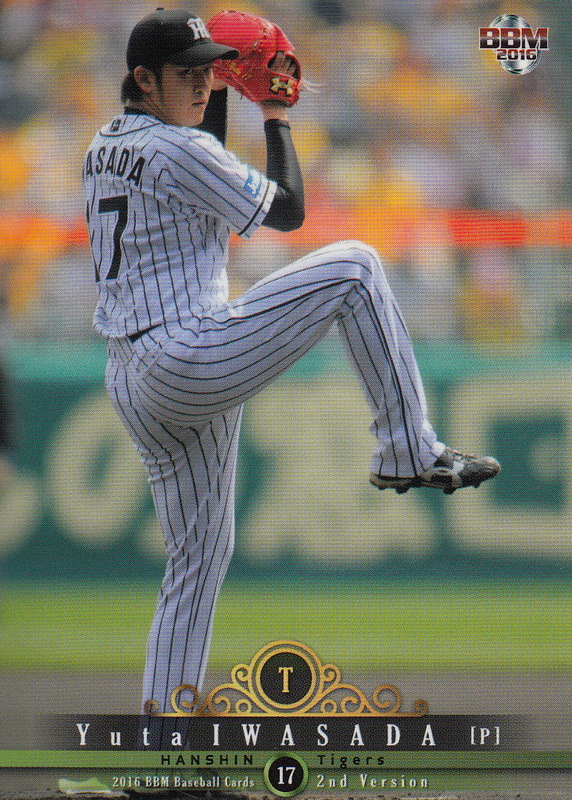 The set will be out on April 22. I'm a bit late on this but ten days ago the final roster for Samurai Japan's World Baseball Classic team was announced. 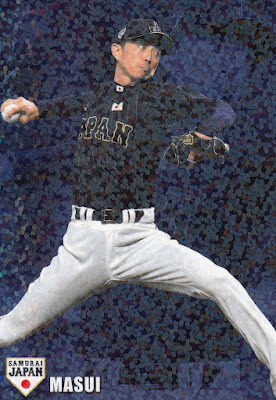 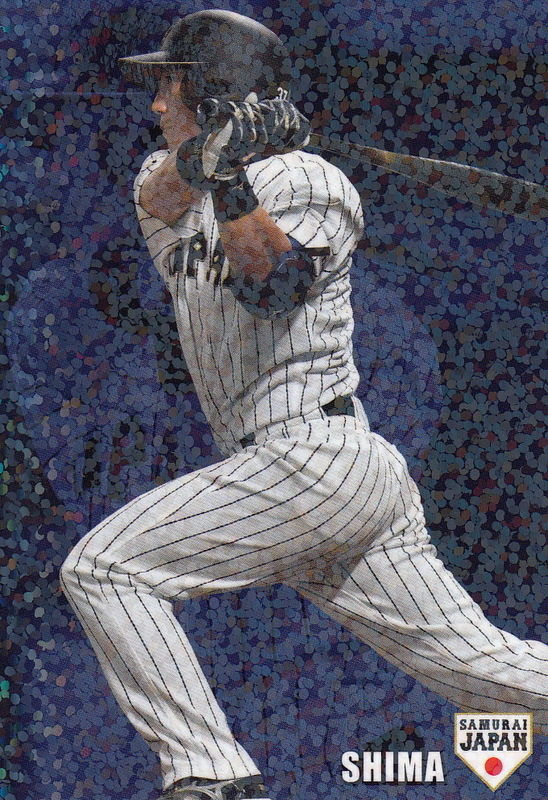 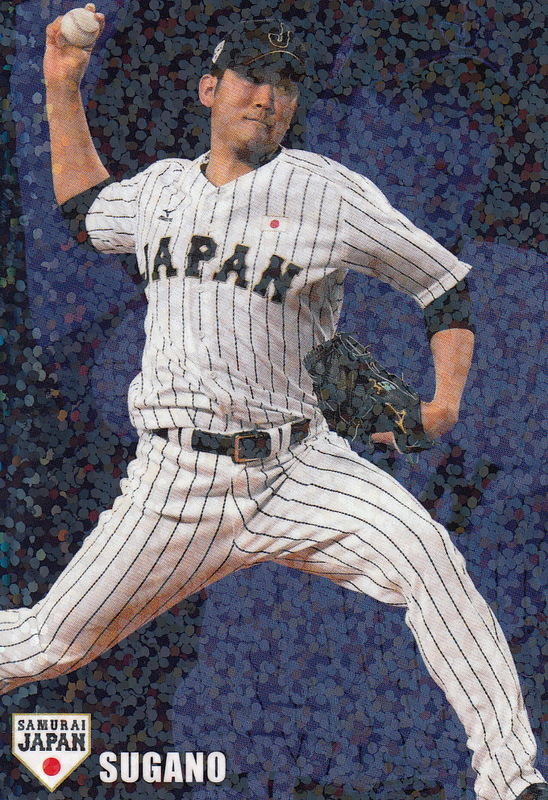 After seeing George's post showing off the Korean team and a post on Not Another Baseball Card Blog for the Canadian team, I thought I should do one for the Japanese team. I wanted to show the players in their Samurai Japan uniforms if possible. 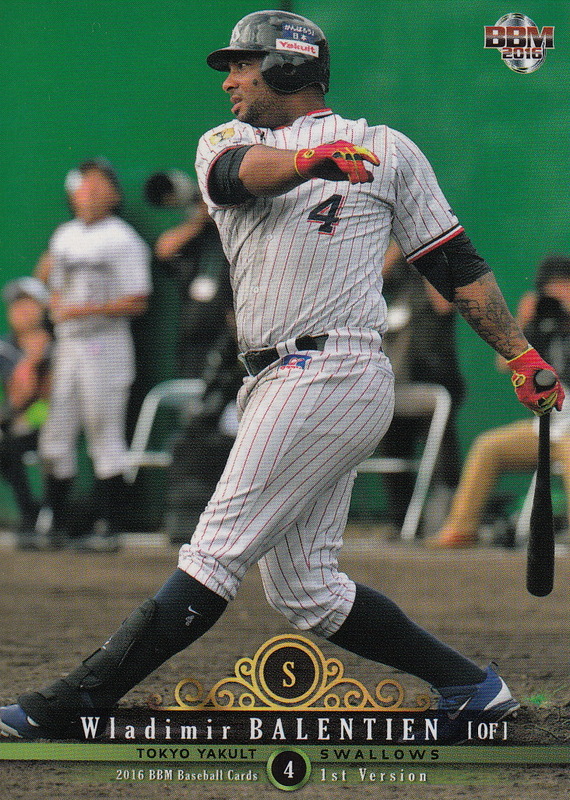 Just over half the players (18 of 35) appeared in the 2016 Calbee Samurai Japan set so that worked out well. Only two of the other players had ever played for Team Japan so I used a 2016 card for the rest of them. 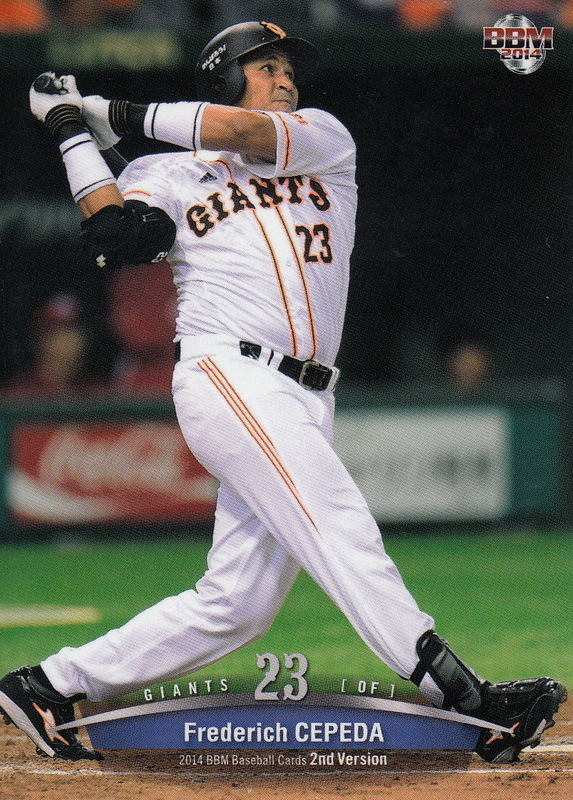 The Giants have the most players on the team with 5. The Carp, Fighters and Hawks each have 4 while the Baystars, Eagles and Lions each have 3 and the Dragons, Swallows and Tigers each have 2. 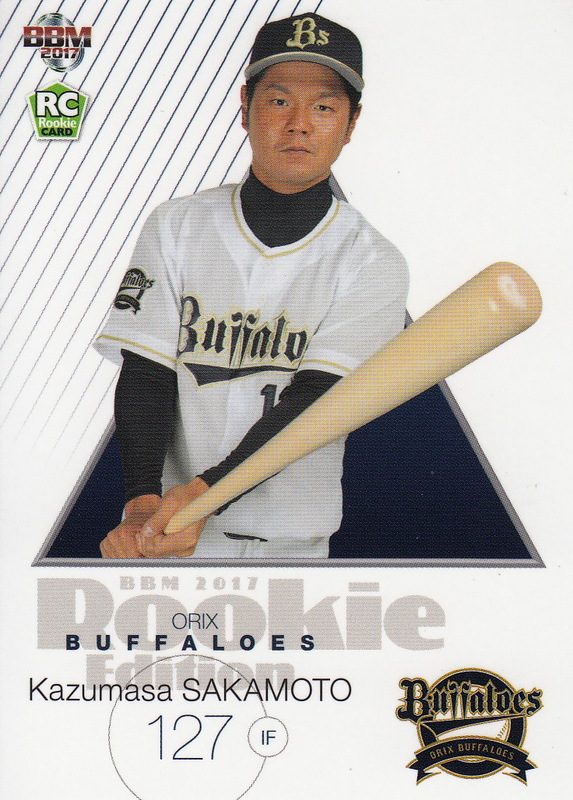 The Marines and Buffaloes each have only one player on the team and there is only one MLB player on the roster.